The Castle and BlackFive describe Operation Valor IT, a project to get technology to the wounded of our mission in Iraq. Soldiers' Angels has more. The idea is that IED wounds are of a sort that can cut off traditional means of communication between the wounded and family. Voice-activated computers and software can rebuild those links. Op. Valor IT is designed to get the technology to those who need it. 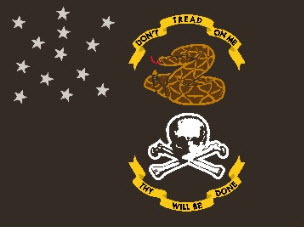 There are those who have said that "flourishing rhetoric notwithstanding, this nation will never truly honor your service, and it will condemn you to the bottom of the economic scrap heap should you ever get seriously wounded." Here is a chance to honor and to aid those who have indeed been seriously wounded. There will be others, but here is one. Yesterday was a nearly fourteen hour day for me, but along about evening I did take an hour off work to go swimming. I have mentioned the swimming lake before. It's about a quarter mile long, a hundred yards or so wide, filling a deep depression in the hills between two weirs on one of the feeders of the Rappahannock river. There are two places where it's easy to enter and leave because it is rocky there, but the rest of the long edges are dangerous because they are deep, silty mud. Our closest neighbors have three boys, ages nine through twelve, all of whom have names starting with the letter "D." The effect of this is that I know one of them is named Dylan, but not which one, and the others' names are lost on me. The youngest of the boys is the one who brought me the eggs the other day. When I got down to the lake, the three were in one of the shallow places, stirring up a ton of mud and engaged in their favorite sport -- turtle hunting. I gather that their mother lets them keep turtles they catch for a few days, but only a few, so they're always hunting new ones as replacements. I left them to their sport and took my laps around the lake. When I finished, I settled down in one end of the lake and started doing breathing exercises and kata under water. The water helps you by adding some small extra resistance to the exercise. In short order, the boys came over and splashed into the water around me. "You're really brave to swim all the way to the end of the lake," the oldest said. "It's not that hard," I told them. "Will you take us, then?" Groan. Now I've done it... their mother is going to kill me. I gave them a severe look. "Can you swim?" I asked. "Yes!" all three answered at once. "I know you can dog paddle," I replied. "But can you swim?" Well, they promised they could, so I told them we'd swim across the lake and back -- a couple hundred yards or so -- and then, if they did that well, we could take the long swim. We only got maybe halfway across before the youngest was panting and needed to turn back. The other two seemed to be doing well, so I made them swim back with me to ensure that the youngest got to the shallow water all right, and then I told them they could swim to the end of the lake with me. I explained where the deep channels were, and to stay clear of the muddy sides so they didn't get fouled. Then, we started off. It was apparently a lot harder than they thought it would be. We only got about halfway on the long stretch before they pronounced that they were ready to go back again. No problem -- I didn't really want to be swimming in deep water with somebody else's kids anyway. We swam back, and then I had to go home, and they went back to hunting turtles in the shallows. I had to work the rest of the night, but along about ten o'clock my wife came up to the office to say that we'd had visitors. The boy's mother, she said, had come by. "And she brought you a cake," my wife added. "She was really touched that you'd taken time out to spend with her boys." Apparently the boys had gone home and told her the whole thing. Instead of being mad, she was touched. Which is how it should be, I guess, but somehow it isn't what I expected. Still, when I was a boy, a lot of men took time out of their lives to teach me things. It's only fair to pass on the favor, and it turns out to be a bigger pleasure than I would have expected. Also, the cake is delicious. "Pagan" is a word that comes from the Latin paganus, "country-dweller," which in turn comes from pagus, "the country." It is one of the great ironies that modern Pagans are therefore mostly urban, with the countryside being ruled over by Baptists. Nevertheless, I think most of the Pagans I've known have aspired to 'the rural life,' even though few of them have lived it. Some push out and give it a try, like this lady, who is demanding a bit of respect from the local school board with help from the ACLU. This is twice in a week that I'm coming down on the same side of something as the ACLU. I learned of the case over at Southern Appeal, while checking to see if Feddie has put up that post on 4th Amendment issues yet. I know he's overwhelmed with business-related matters now. Anyway, back to the pagans. 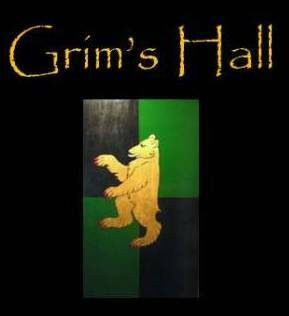 Grim's Hall has always been a defender of the various neo-pagan faiths, ever since that time I decided to get into it with the Raving Atheist over Forn Sidr, a faith based on ancient Germanic customs and mythology. We don't normally discuss religion here in any other context than this one: defending people's Constitutional rights. That Constitutionalism is at the core of most of my political beliefs, which is why I want to know precisely how the NY Subway searches comply with the 4th Amendment, or at least have it spelled out frankly that they do not so we can be conscious about the fact that we are making a particular exception, for a particular reason. I don't care for protestors as a rule. People who go out of their way to make a scene just to make a point irritate me a great deal. I think that this particular lady would be doing herself and her neighbors a service if she accepted their sensibilities and left them to their prayers. Sometimes self-sacrifice is the nobler path. Nevertheless, it seems plain enough to me that she has a right to be considered on equal terms as any other religious leader. Those terms are: if you're going to have a public prayer associated with a legislative or executive body, you must not establish that the prayer be delivered by a particular religion. On the other hand, whoever delivers it must also not pretend to greater unity than exists -- whether a Baptist or a Pagan delivers the prayer, it must be couched in terms that really are acceptable to all parties present. If I'm going to pray for us at a government meeting, I don't get to tell the Father of All that we have gathered in the hope that gun-control advocates will be reformed. If you're giving the prayer, you don't get to claim that we've gathered in the hope that our hearts might all embrace pacifism. Either one is a plain lie, for one thing, which you ought to be careful about delivering to a divine being. It's also in bad taste. If the lady's willing to accept those rules -- and I don't know if she is, having so little regard for her neighbors' wishes in other respects -- she ought to be considered same as anyone. I'm sure we all sat quietly at a neighbor's table, growing up, while the head of the house delivered a Grace that we didn't find entirely comfortable. It's the same principle at work here, with the additional consideration that a head of household has far greater authority to choose the terms of the prayer. The table sits in the house, and the guest is under the roof of the house. The government house belongs to us all. Therefore, if we are going to have a public prayer, we must be extra careful to show respect to all of our fellow Americans. UPDATE: Besides, look how much fun it is to be a pagan... well, even just for a few days in Ireland. I suppose it was inevitable that dog bombs would prove to be real. Naturally, in this era, anything that seems too ridiculous or cruel to be true will prove out to be. It is the method of the particular type of enemy we face to find the places where kindness or decency blinds the normal man, and strike from that blindness. Michael Yon has an excellent piece from Mosul, which is analyzed capably by Wretchard. I wish to think it over before saying more about it. I gave out a burst of laughter when I got to "steak houses." It was a brief burst, but laughter is all to rare these days, so I value it where I find it. So today, reading Hong Kong's Asia Times, I came across this article, entitled "Delhi's cowboys ride urban range." Given that this is real, well, this is as good a joke as the first one. The past few days India's capital city of New Delhi has been witness to a peculiar sight - cowboys (many on motorcycles) with lassos spanning the city to round up cattle. The Indian version of the Pamplona bull run or the American cattle roundup has begun following the announcement of a cash award of US$50 per cow caught, announced by the Delhi high court to rid the city of the traffic menace. There has been an intelligence report that stray dogs that live next to the prime minister's residence are a potential hazard as they move in and out of the high-security zone, given their friendly access to the security guards. Any one of the dogs can be stitched up with a remote-controlled bomb. One reason authorities in Delhi and several cities and towns in India have been unable to launch a crusade to rid themselves of vagabond cattle is religion. Cows remain a very touchy subject due to religious sentiments. The animal is revered by the Hindus, addressed as Gau Mata (meaning, the cow is like a mother). Indian history has several instances of Hindu-Muslim riots erupting over cows being slaughtered, sometimes deliberately to incite violence.... But apart from religion there are other factors that complicate the task, not least the animal rights activists who make it a point to criticize any government action or inaction. Animal rights activists rioting against motorcycle-riding Indian Cowboys, lariats in hand! Skulking veterinary terrorists, performing surgery to turn stray dogs into wandering bombs in order to get at the prime minister! I can see I am going to have to make good on the advice given me by John Ryan, my old friend, professional gambler, and Australian good-for-nothing. He once told me that, no matter what else I did in my life, "Don't miss India!" Somehow, I'm just going to have to get out there. You might want to get by and congratulate Doc Russia, who appears to have had a good day. Although the patient died, he didn't die without receiving every last chance that medical science could give him. Doc's excitement comes through in his prose. We all die sometime, but I think we would be glad to know that the attempt to save us means this much to the people who undertake it. You can't expect them to care about you personally -- they don't know a thing about you, really, and will meet a hundred more just like you. Failing that, though, you can take comfort in the excitement and interest they have for the technical challenge of keeping you alive. It's been interesting to read through Doc's career as a med student. I find I've learned quite a bit about medicine, both in areas I knew nothing about and areas I have learned something about for professional reasons. Those of you who were slogging on through my description of temporary v. permanent wound cavities as re: bullet wounds, for example, will learn a bit more on the topic from this post. Is Conservatism A Character Defect? Visit Cassandra, who hopefully will prove to me that it is not. The evidence she has cited so far runs in the other direction. I have no fear for myself: I have known for years that I am broken. But for the rest of you, those on the Right, I shall be disappointed if she cannot defeat the position I have staked. UPDATE (as of 0530 Monday morning): In fairness to all, I think two warnings are deserved. First, I'm feeling particularly evil today. Second, I intend to play the so-called "Devil's advocate" here. I'll be happy to break lances with any of you, not just Cassandra, but you'll have to prove that the staked position is wrong. It can be done; I think I have proven the opposite position more than once. Today, though, I just feel like fighting. Be fairly warned. Men who are accused of never listening by women now have an excuse - women's voices are more difficult for men to listen to than other men's. Reports say researchers at Sheffield University in northern England have discovered startling differences in the way the brain responds to male and female sounds. The research shows men decipher female voices using the auditory part of the brain that processes music, while male voices engage a simpler mechanism. "When I said that your voice was like music to me -- a song to soothe the savage beast -- I was but speaking God's own truth." I've never said those exact words to anyone, but we've all said something like them, to certain special women of whom it was really true. That truth has lain hidden and unproven until now, but it always was true. Why is there no room for this romanticism, which has proven out in the harshest light of science? Why, here, do we first look to the cynic -- "Men really don't hear you!" -- rather than the romantic, whose promises bind his heart and his life? It is just easier? Or have we stopped believing in love? -- our society, I mean, not each of us. Pray, now, believe the other things we say. 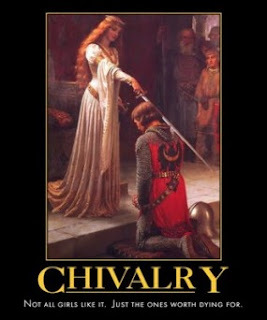 For those of us who are honorable men, at least, say only what we mean: and we will keep our word to you.